Travelling solo, but don’t want to go it alone? Our own resident American, Theresa Wilson, will be hosting a Deep South single traveller holiday departing 17 May 2020. Enjoy the security and camaraderie of travelling with a group and a host on an itinerary with space for you to see and do what you choose. Not every minute is filled with activities, so you can explore at your own pace or join others. We’ve handpicked and included the best attractions in each destination with plenty of options left for you to add if you wish. The best part, no single supplements and no sharing hotel rooms - all of which are king rooms, not singles! Theresa Wilson, your host, will meet you at the airport in arrivals and get you settled on your coach transfer straight to the Hutton Hotel for three nights. 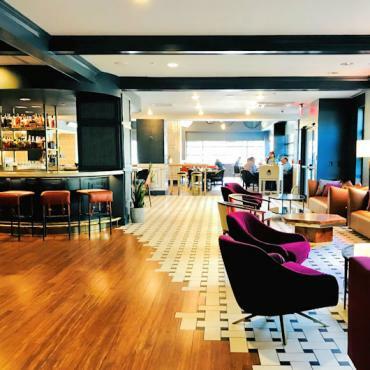 If your second wind kicks in, spend your first night checking out Sunday night Nashville hot spots. 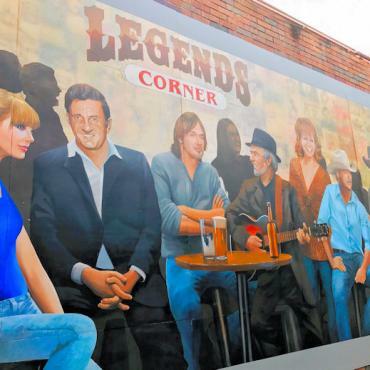 Nashville, the city and its people have a common thread – music. It truly is at the root of everything from the city’s earliest days and today is the soul of the city and ultimately those who live there. You can trace music roots all the way back to the earliest settlers – like Davy Crockett. During the 1800s, Nashville developed as a national music publishing centre and one of the most famous music venues in the USA, the Ryman Auditorium, was built in 1892. It was the largest auditorium south of the Ohio River and nicknamed the “Carnegie Hall of the South.” Needless to say, it attracted musicians and fans from far and wide. In 1925, the most famed country music radio station of all time, WSM began and what they did next sealed Nashville’s place in music history. 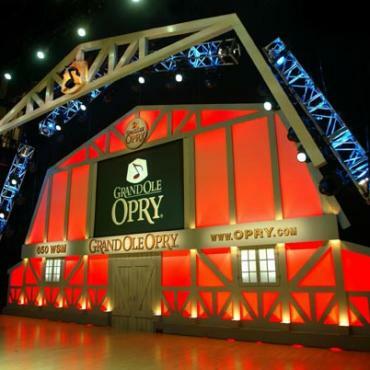 A little weekly radio show of a live stage concert – the Grand Ole Opry – has become America’s longest ever running radio show. Still going strong 94 years later, it has launched the careers of hundreds of country stars and sealed Nashville as a music epicentre. It’s not just the actual performers making their home in Nashville, but record labels and all associated with the music business. Music Row (16th and 17th Avenues South) is where behind the scenes deals take place and definitely worth a stroll. Your first full day in Music City! If you are keen to do optional day excursions, this is the best day as the entire day/evening is free. We'd recommend the Jack Daniels Distillery tour to Lynchburg and also The Civil War Battle of Franklin tour - both of which need to be pre-booked prior to arrival. 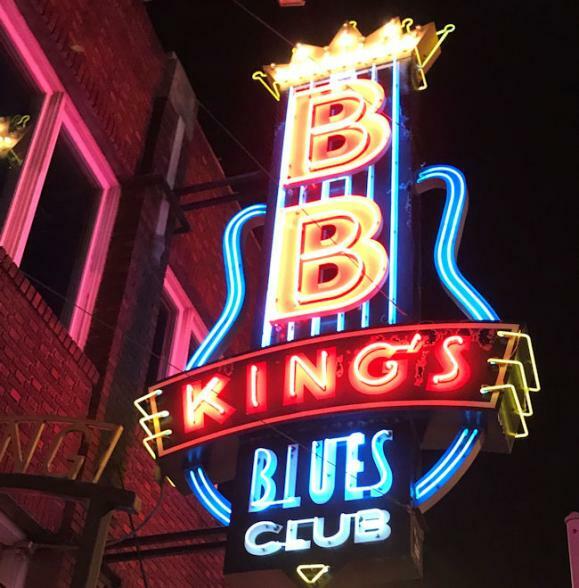 If you're just keen to start exploring the city and sights, your included Nashville Music Pass gives you entry to The Country Music of Fame, RCA Studio B, the Ryman Auditorium and the Johnny Cash Museum. 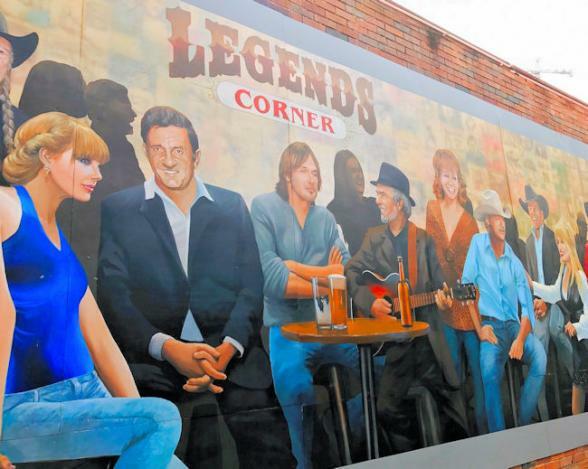 Broadway, Nashville's main thoroughfare, is full of music day and night plus fun souvenir shops and of course, Legends Corner. Restaurants and bars are plentiful. A suggested list will be available and your host will happily make reservations. Nashville’s historic Gulch District originally housed the downtown railroad terminal and was the industrial centre of the city. Today, it’s a trendy neighbourhood which has perfectly combined its industrial background with modern contemporary style. Complete with the some of the best restaurants and shopping in the city, it’s definitely worth a mooch. 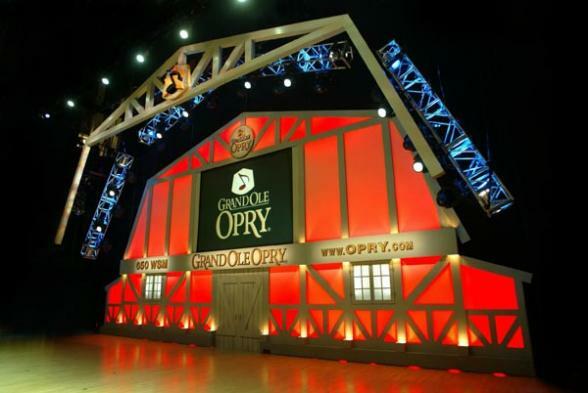 As it's Tuesday, tonight is Grand Ole Opry night! We'll depart the hotel by coach 545 pm for the 7pm show. Coach transfer back to Hutton after the Opry. Grab breakfast before departing for Tupelo, Mississippi at 8am. Undoubtedly, Tupelo's claim to fame is the hometown of Elvis Presley, but it also has deep roots in Northern Mississippi's music sound - the Delta Blues. 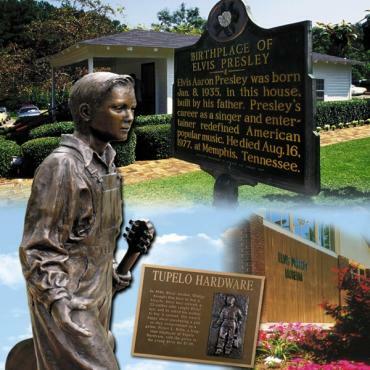 We're planning a noon arrival at Elvis Presley's Birthplace, Church and Park. A boxed lunch will be provided on arrival and you're free to stroll the grounds. Depart for our hotel - the Hilton Garden Inn at 4pm. Your evening is free. There are restaurants within walking distance to the hotel and if you're in the mood for a bit of live music, venues will be suggested. Breakfast is served at the hotel from 6am and our transport will depart promptly at 715am for Memphis and Graceland. 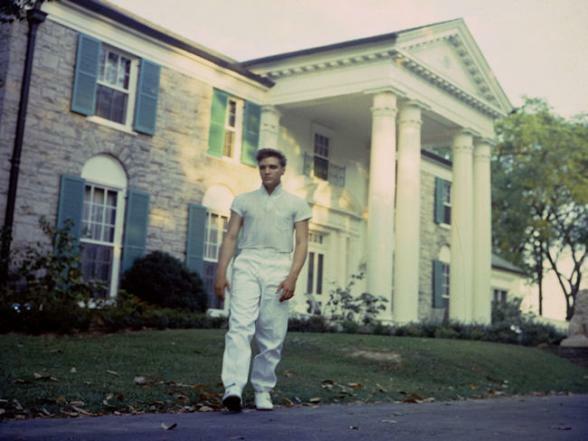 Elvis Presley purchased Graceland as his Memphis home in 1957 and it's also where he died twenty years later. Today, his daughter Lisa Marie owns the mansion and is committed to keeping it a place where fans can pay their respects. Graceland and Elvis' Memphis Entertainment Complex are open from 9am - 5pm and you have the entire time to explore at your leisure. Your admission ticket includes front of line mansion access and we'd recommend doing that first. All exhibits are included along with admission Elvis' planes. 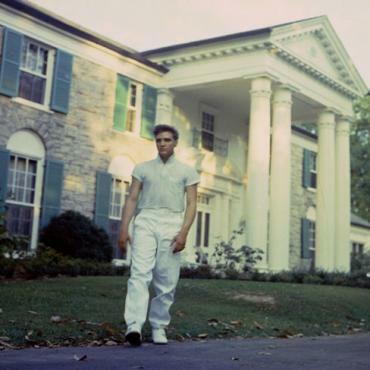 You'll be dropped at the entrance to the complex and your luggage transferred directly to The Guesthouse at Graceland for your first night in Memphis. The Guesthouse at Graceland is really an extension of the mansion. Lisa Marie and Priscilla Presley were heavily involved in the planning and design and are still involved in the running and upkeep, in fact, Lisa Marie is often seen on property. Elvis never wanted visitors to feel his home was just a showcase for his career and you'll notice the touches and nods to his fame are subtle and tasteful. You may gain access to your room from 4pm. There are typically daily activities available at The Guesthouse and we'll be sure to share those prior to arrival so you can plan your time here accordingly. There is also an outdoor swimming pool, so weather permitting you might enjoy a late afternoon dip! Enjoy a leisurely morning and buffet breakfast at Delta's Kitchen. Delta was Elvis' aunt and last relative to actually live in the mansion. 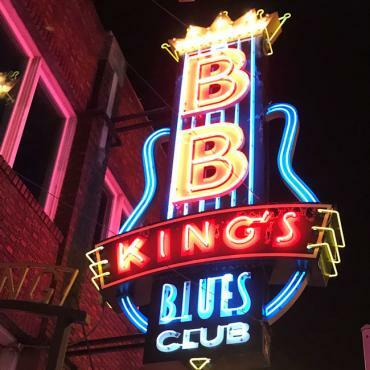 Depart for downtown Memphis and Beale Street at 11am with a city tour en route. 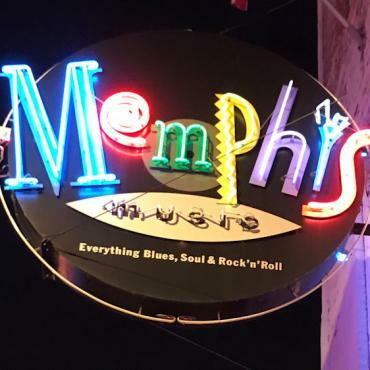 Soul, Blues, Rock n Roll - it all started in Memphis! You had a taste of it at Graceland, but now you'll experience two nights along exciting Beale Street. Live entertainment happens nightly as does some of the world's best BBQ. There's another side to Memphis too - a history clouded by sadness. During the 1960s, Memphis became a centre for the Civil Rights Movement and ultimately where Martin Luther King Jr. was shot and killed. it's a part of history that can't be erased, but the people of Memphis are forward thinking and full of southern hospitality. We'll stay at the iconic Peabody Hotel, home of the legendary Peabody ducks, for two nights. 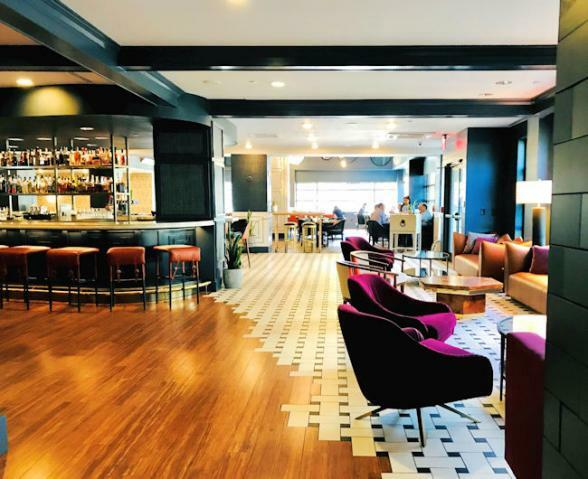 Visit the Lorraine Motel and Civil Rights Museum; the Memphis Rock N Soul Museum; tour the Gibson Guitar factory along with Sun Studio and the home of Rock N Roll - the Stax Museum.....the list goes on. We can even arrange a tour by classic American car. 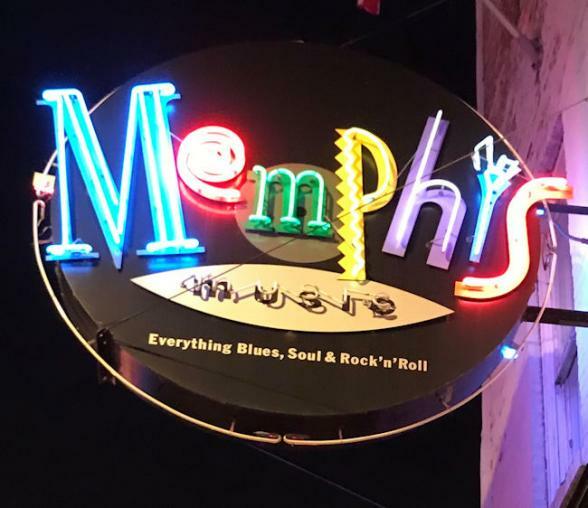 We'll help you tailor this portion of the holiday to exactly the Memphis experience you'd like. All aboard! 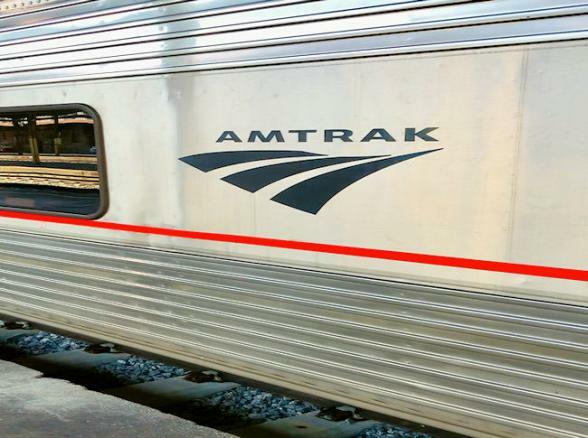 Depart Memphis by Amtrak on the City of New Orleans service. It's an early start with our transfer at 500am for a 640am departure. 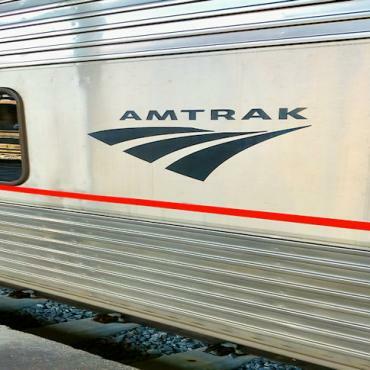 Watch the world go by from your reserved upper level coach seat. 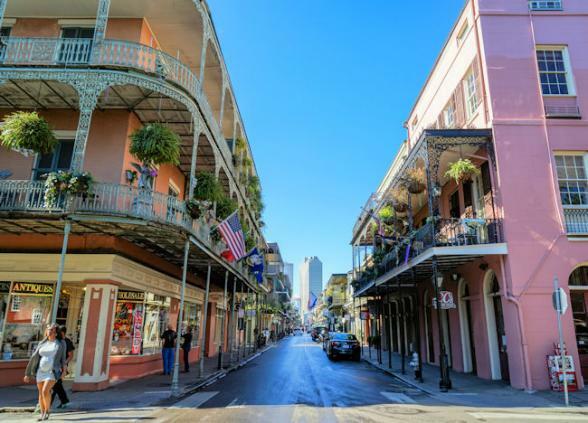 Arrive in the Big Easy late afternoon and transfer directly to our hotel in the French Quarter. New Orleans is a delight for the senses. The blend of French, Spanish, African, Caribbean and American cultures makes for one unique city. The food, the architecture, the people, the music, the history........you'll became as enamoured as we are. Your first evening is free to explore as you wish. You'll get the lie of the land this morning as we start the day with a two hour guided city tour including the French Quarter - the oldest area of New Orleans, the beautiful Garden District, the longest bridge in the world - the Lake Pontchartrain Causeway, an historical cemetery and homes of former kings and queens of Mardi Gras. The rest of the day is yours to explore. Dinner and nightlife recommendations will be available. We've left your last day in New Orleans entirely open for those who'd like to do an optional full day excursion. 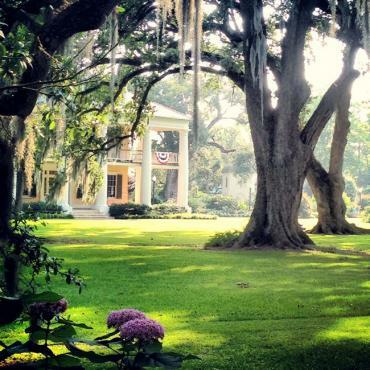 We can highly recommend plantation, bike, swampland and Mississippi River tours. 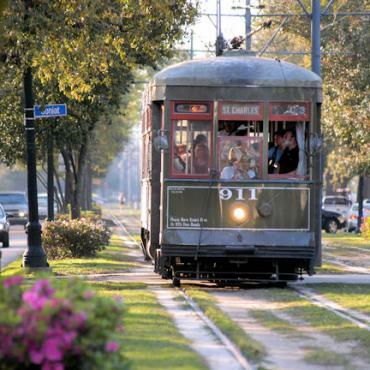 There are also plenty of museums and sights to keep you busy right in the French Quarter. 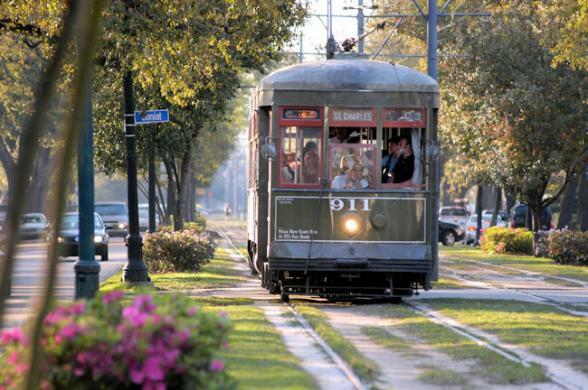 We will discuss all of our your options and help you tailor your New Orleans time. Farewell Dinner in the French Quarter at 7pm. With an evening flight home, we won't need to depart for the airport until 6pm. 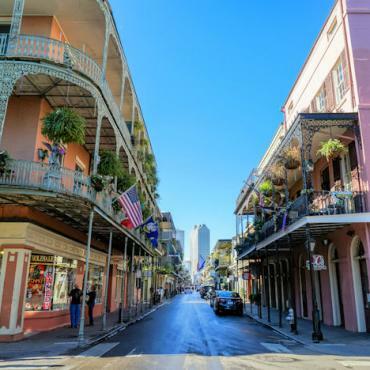 Your luggage will be stored after check out, so you can hit the streets of the French Quarter one last time. Although the hosted part of the tour ends today, if you aren't ready to fly back to the UK, you can independently extend your time in the Deep South or anywhere in the USA. We've got plenty of inspiration and ideas!